Middlesex left-hander Dawid Malan is keen to try and push his name forward for an England recall, with an Ashes place very much on his mind. The 31-year-old started his County Championship season with a superb unbeaten 160 as his side secured a draw against Northamptonshire, a knock made all the sweeter by being made in front of National Selector Ed Smith. You can do all the talking you want, but it's all about scoring runs, really. And Malan, who played the last of his 15 Test matches against India in August last year, hopes to have put his name back in the frame for the ashes clashes later this summer, although he insists his focus will remain on county duty. He told Cricinfo: "It's nice to do it in front of him (Smith), I like proving points. I saw him arrive at lunch and it makes it extremely pleasing to bat like that in front of him. "You can do all the talking you want, but it's all about scoring runs, really. There are eight Championship games before the Ashes and if someone can score two, three or even four big hundreds, you never know. "Yes, I want to play for England in all three formats. I've shown glimpses that I can do it, but last year I looked too far ahead and took my eye off the ball. 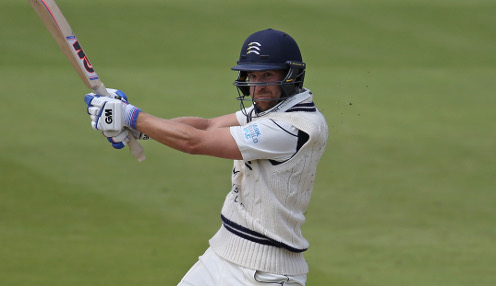 "Right now, I'm just focused on playing well for Middlesex." Malan, who has also played in five T20 internationals, averages 27.84 in Test cricket, with his top score 140 made against Australia in Perth in December 2017. Meanwhile, Middlesex are 9/2 to win County Championship Division Two this summer, with Sussex 9/2 and Northants 25/1.